GeneaWebinars: THIS SATURDAY, JUNE 10TH! 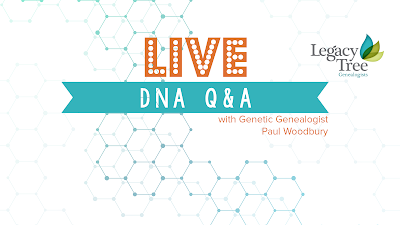 Your Genetic Genealogy Questions, Answered! THIS SATURDAY, JUNE 10TH! Your Genetic Genealogy Questions, Answered! Let’s face it. DNA testing can be confusing. There seems like a plethora of DNA testing options available–autosomal, mitochondrial, Y-DNA, etc. Our clients often have many questions: What does each test determine, and which test is the best one for me to take in order to accomplish my research goals? Which family members do I test, and why? Once testing is complete, what do all the numbers mean, and where do I go from there? DNA testing for ancestry is increasing in popularity because of the incredible discoveries that DNA enables us to uncover. But if you have questions about genetic genealogy, you’re not alone–and we want to help! 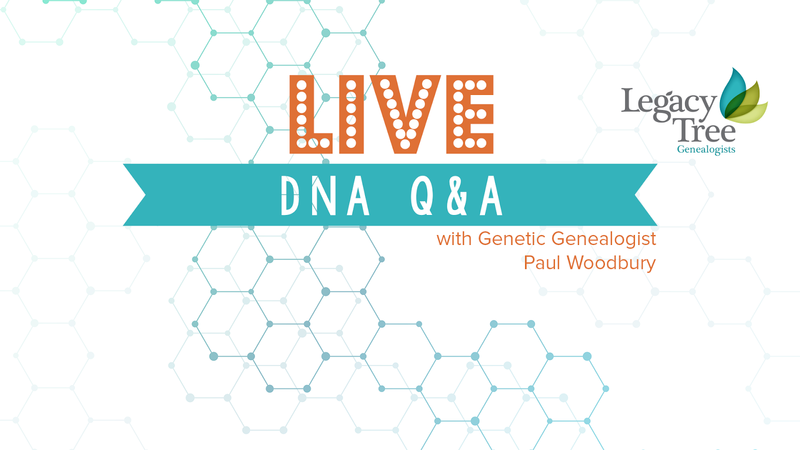 One of our Senior Genetic Genealogists, Paul Woodbury, will be hosting a live DNA Q&A session on the Legacy Tree Genealogists Facebook page while we are at the Southern California Genealogical Society Jamboree. The broadcast will be held on Saturday, June 10th at 5 p.m. MST. Users may submit their DNA-related questions in advance on our website at https://www.legacytree.com/live.